Since 2009, North Vancouver parents have known and trusted Active Baby for all their “active baby needs”. 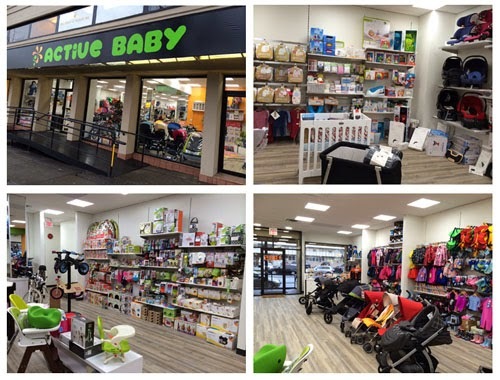 Not just any baby store, but a store built around the concept of creating and supporting a green and active community that values its customers and community member, not just another paying customer. Active Baby has everything you need to get your family active and outdoors. The store owners, parents team - Chen and Yan, are committed to providing unique, top of the line rugged products that are made to withstand the outdoor adventurous lifestyle of active North Shore parents and are happy to announce their new store location (still on the North Shore) at 1985 Lonsdale Avenue. Check out the new location and stop by and say Hi! As always Active Baby guarantees you better quality, the best service at the best possible price.